Our next general body meeting will be held on Tuesday, November 27th from 6:30 PM - 8:30 PM at Philadelphia Gas Works (800 W Montgomery Ave, Philadelphia, PA). 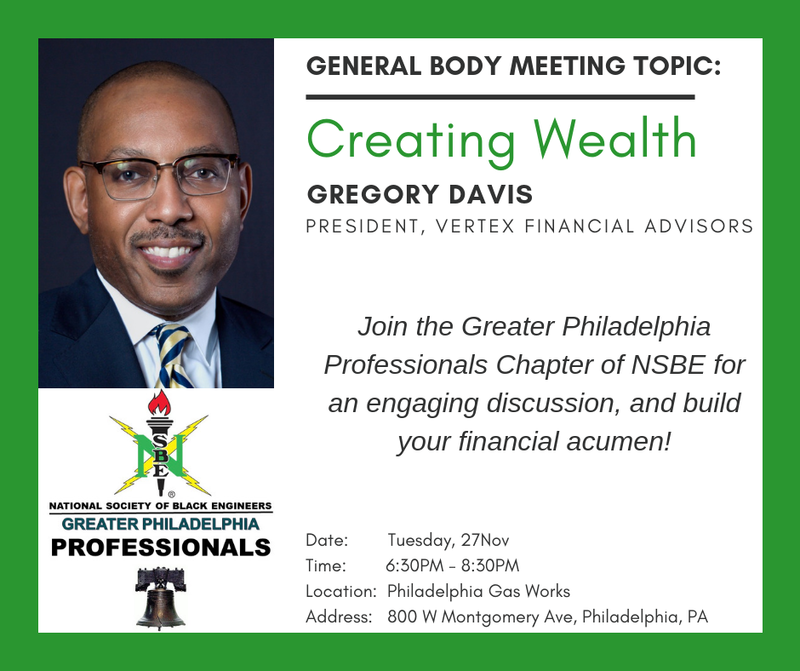 Gregory Davis, President of Vertex Financial Advisors, will be our guest speaker, and he'll share the knowledge needed to create wealth. Join us for an engaging discussion!